Hey guys! I hope your weekend was relaxing. I'm back with some pink snowflake nail art featuring Ever After Polish Matching PJ's Are a Must. This shade is so pretty and soft that I wanted to give it another moment in the spotlight. 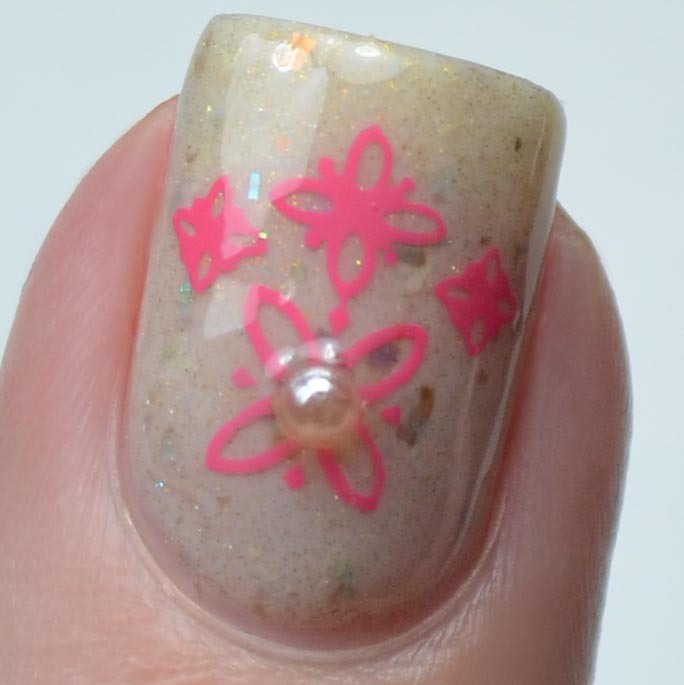 For this look I started off with a base of Ever After Polish Matching PJ's Are a Must. Once that had a chance to dry I stamped over it using Morgan Taylor Watch Your Step, Sister! and plate MR-03. Once the stamping had ample time to dry, I topped it all off with Firecracker Lacquer Seal the Deal. 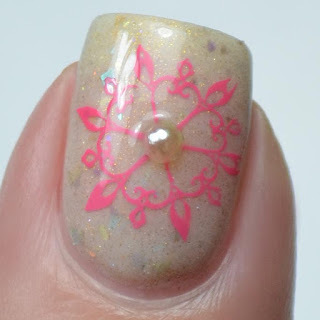 I had to include two close ups because I am in love with that flakie/shimmer/stamping combo. Will you be doing any holiday manis this winter?